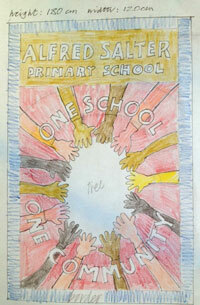 The brief for the artists was to have lots of different coloured hands and the school's logo, along with the school's uniform colour. 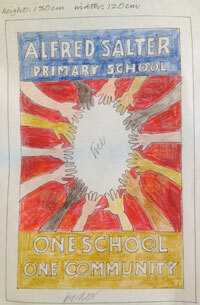 We drew a couple of different designs for the school to choose from. 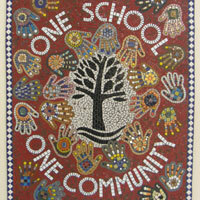 The mural has the school logo in the centre, with the school's uniform red as the background colour. 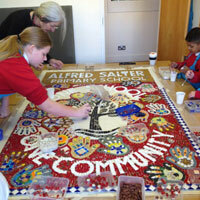 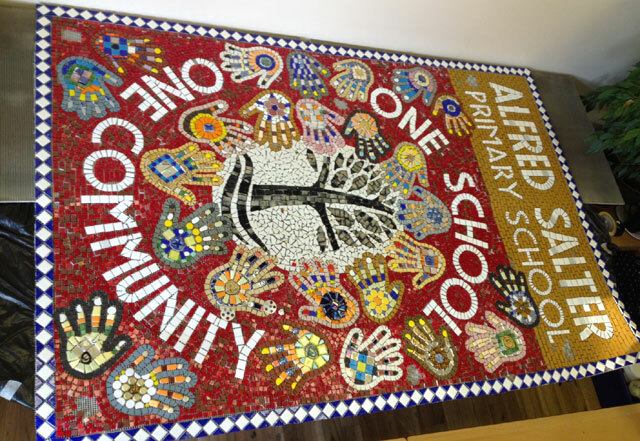 "Every child, every staff member and even a few OFSTED inspectors at Alfred Salter Primary School placed a stone into this mural; we are very proud of it and we feel it says so much about how we view our school and the wider community." 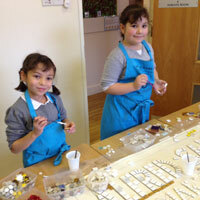 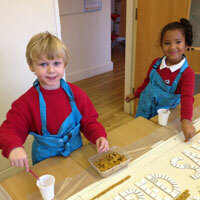 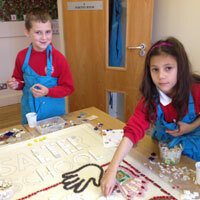 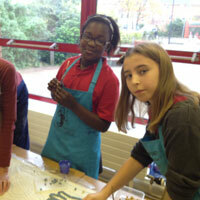 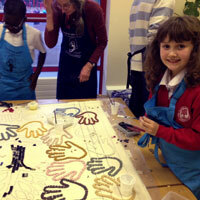 The beautiful hands represent the diverse school community. 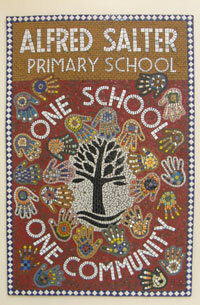 The hundreds of hands that helped to create the artwork are also represented in this successful piece that hangs in the entrance hall of the school welcoming everyone, everyday. 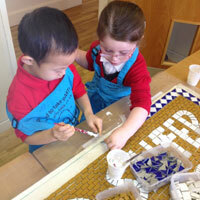 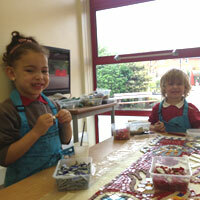 Click here to learn more about the pioneering inclusion work of the Deputy Headteacher Shaun Dellenty.